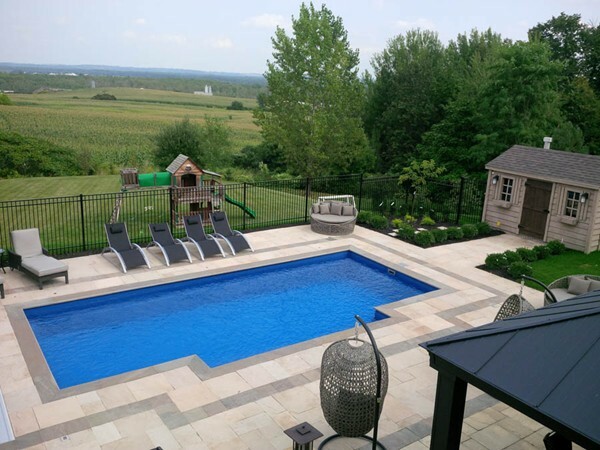 The Elegance Style, one of the most modern styles marketed today, incorporates square corners and crisp clean lines, making landscaping it a pleasure. The unobstructed swimming corridor gives plenty of room for end to end swimming or playing games. 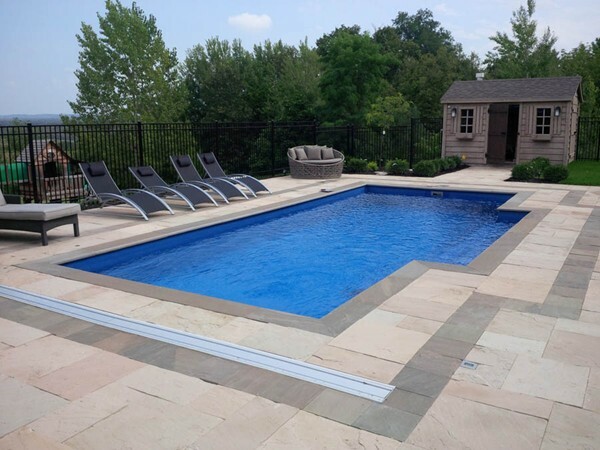 The Elegance Style is available in four sizes, and has steps conveniently placed on the side of the pool, which are combined with the spa seat area. Spa jets and aeration are also available for an enjoyable and relaxing spa. Two feet down from the top of the pool is our convenience ledge, to allow for exiting or entrance at any point. As listed below, the Elegance comes in Crystal Blue, Sapphire Blue, Aquamarine, Diamond Sand, Graphite Grey, Silver Grey, or Ebony Blue.